The place was great - lots of solitude. 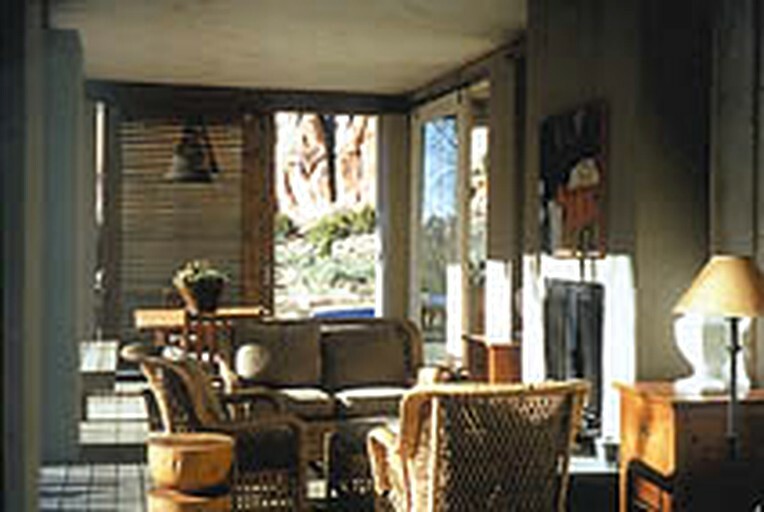 This remote getaway rental is located in Moab, in the heart of Utah's Canyon Country near Arches National Park, and can accommodate up to four guests. There are two bedrooms, two full bathrooms, a library, and an outdoor, covered lounge area. 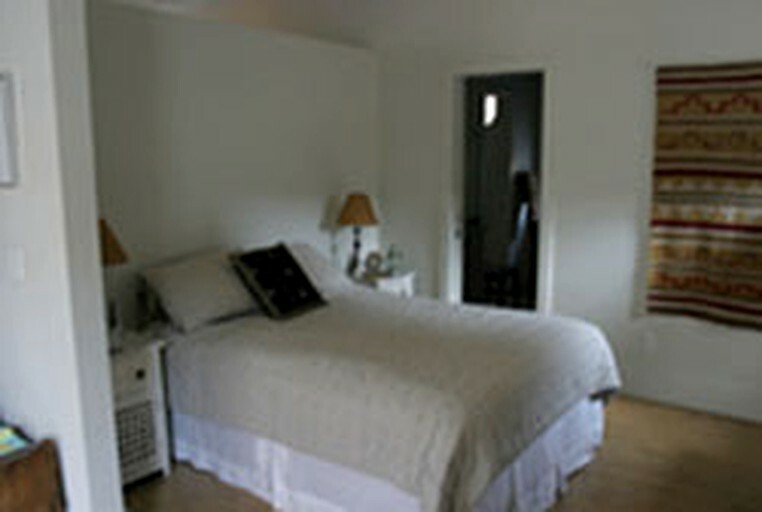 The first bedroom has a queen-size bed and the second bedroom has a king-size bed that can be converted into two twin-size beds. In the first bathroom, guests will find a toilet, a sink, and a bathtub. In the second bathroom, guests will find a toilet, a sink, and a shower. Linens and towels are provided. In the living room, guests will find a sofa, a fireplace, and a dining table. The fully equipped kitchen comes with an electric fridge, a gas stove, a waffle iron, and a coffeemaker, and grinder. Cooking and dining utensils are provided, as well as basic necessities like coffee beans, spices, sugar, and oils. Other amenities include a cell phone and a washer and dryer. Guests will have access to a cell phone and a washer and dryer. There is also a hammock and barbecue grill outside, and a swimming pool that is open during the summer months. Moab is a popular destination for mountain biking. There are several off-road trails nearby where guests can go mountain biking, cycling, or hiking. These trails are also great for exploring and photographing the majestic and breathtaking views of the surrounding thousand acres of red rock cliffs, canyons, and desert valleys. Moab is also the gateway to some of the most famous national parks in the western United States. The Arches and Canyonlands National Parks are both only a few miles away. Moab is also close by to the Bull Canyon Overlook and Copper Ridge, a rich deposit of dinosaur fossils and tracks. Many of these paleontological findings can be viewed at the Museum of Moab in the town's center. Children under the age of 10 are not allowed. This is because the house is not child-proofed and is not suitable for children who do not yet know how to swim. Check-in time is between 4:00 pm and 4:30 pm. Check-out time is between 10:00 am and 11:00 am. There are extra fees and applicable taxes. There is also a security and damage deposit. 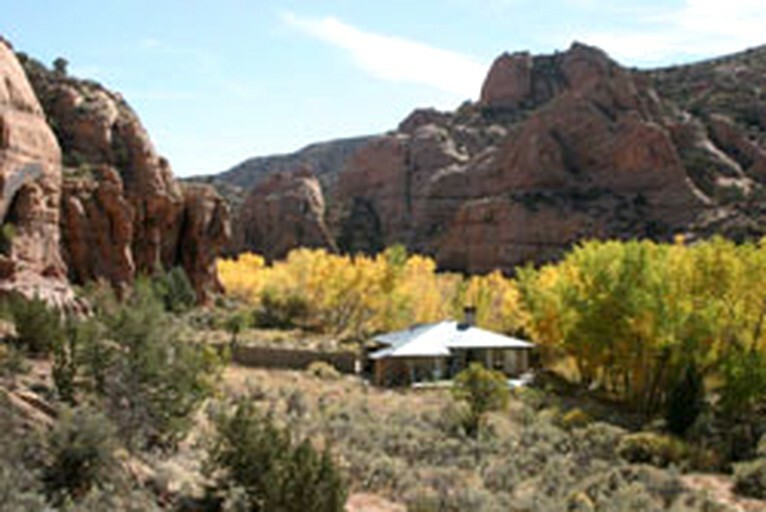 The cost of the reservation includes transportation from Moab to the house. There is a minimum three-night stay. Guests who only book for two nights will be charged for those nights plus an extra cleaning fee, and the booking will not be guaranteed until the caretaker's availability for those two dates is confirmed. This house is off-the-grid and has limited energy resources.